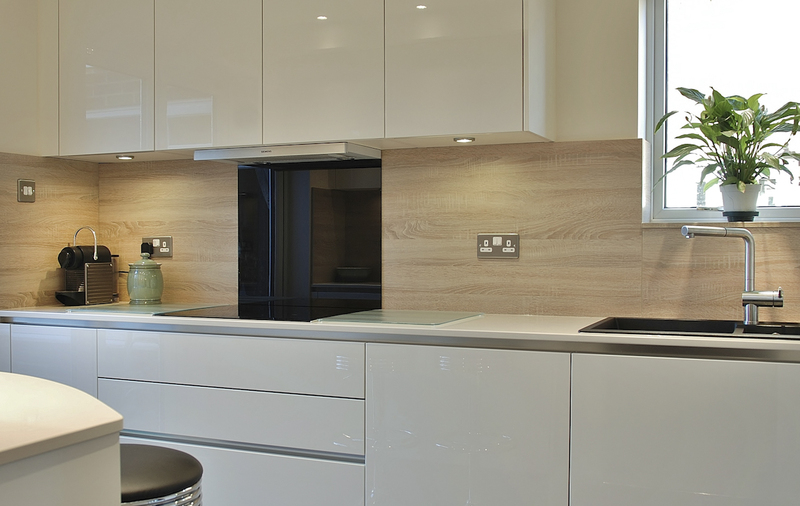 Our brief here was to change the look and layout of the kitchen in a fairly dramatic way. 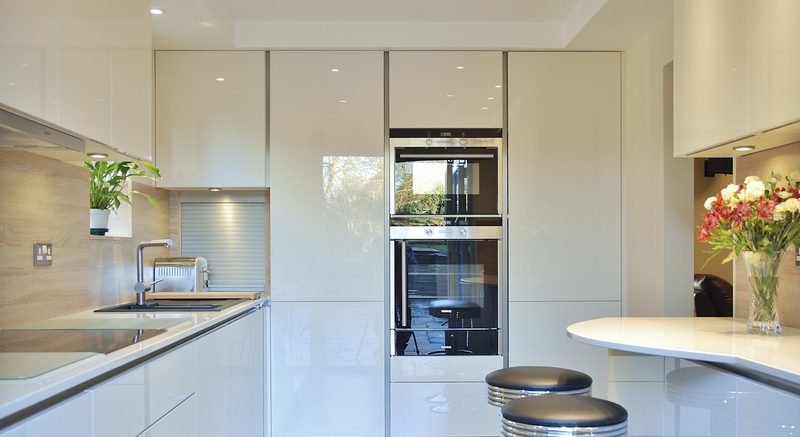 Our clients wanted a set of Bifold doors installed at one end, they wanted more fridge/ freezer space, more storage, more worktops and more appliances all whilst making the kitchen feel lighter, brighter and more spacious. Everything, right down to the sink had to be carefully considered to maximise efficiency, whilst minimising their impact on the space. 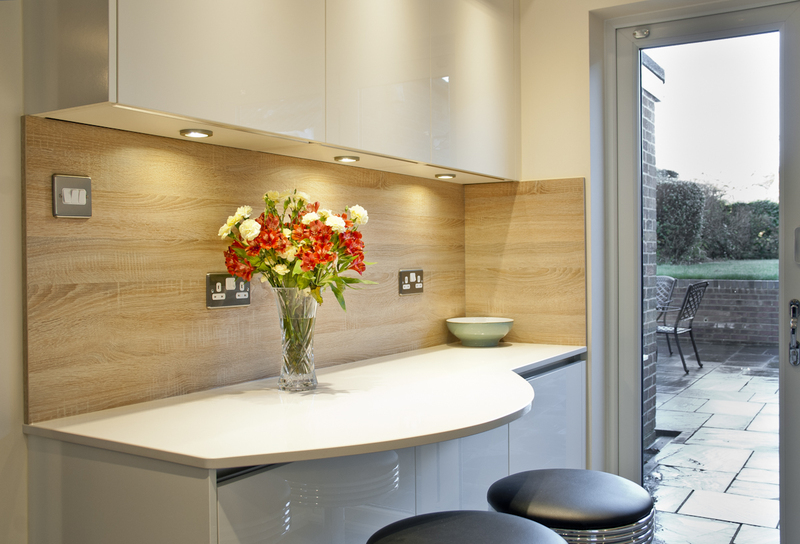 The Bifold doors set the tone for the kitchen. To make the space work we designed a tall unit bank to house Full height Fridge, full height freezer and oven, microwave and warming drawer. 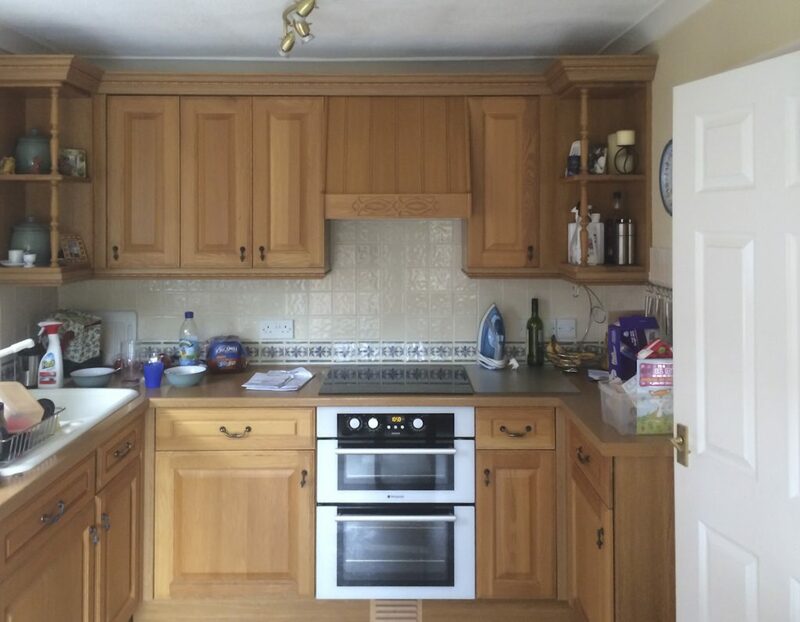 Space was tight to achieve this but it was just possible, to enhance the appearance we designed a drop section of ceiling to close the gaps between the cabinets and the ceiling and give the furniture a truly built in appearance. 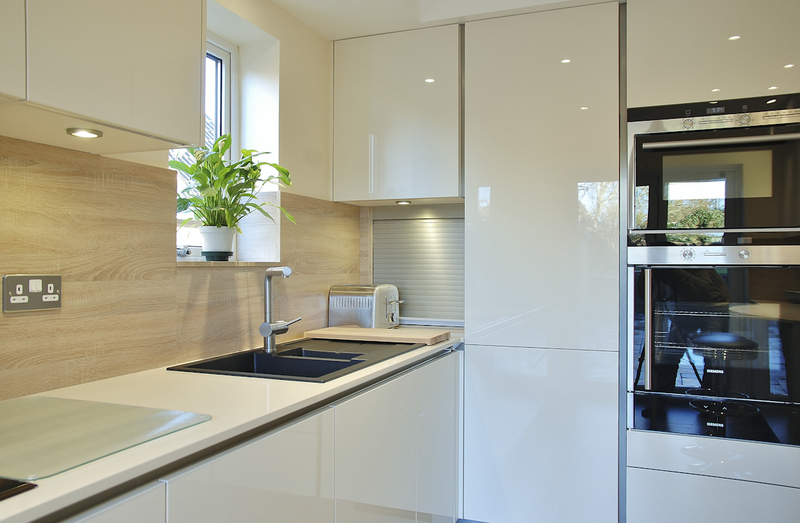 To achieve the required level of functionality within a small space needs more than just a well-considered design, it needs furniture that has the versatility to make use of all the space available, however small the space, if it’s used intelligently, it can function just as well as a kitchen twice the size. Running down one side of the kitchen the worktop housed the sink and hob, along with bins, dishwasher, drawers and a corner Le Mans unit. To the right of the sink a roller shutter with cupboard above made great use of the corner space. On the opposing wall more storage was enhanced by a curved section of worktop to provide the perfect spot for a bit of breakfast. Finished to our usual high standards this kitchen is a real gem. The room feels so much bigger and everywhere you turn there’s a feeling of real quality. The Bifolds open the space to the garden providing a real “Wow” factor and then once inside the “Wow’s” keep on coming. We designed the overall room concept; project managed not just the kitchen but the building works as well and ensured the whole project ran smoothly. The end result is a huge triumph showing just what can be achieved with good design.